Tortoise Subversion is a simple and elegant tool for version controlling files. It is generally used on software development projects; it would be interesting to know how widespread it’s use is outside IT. For example, marketeers are enthusiastic PowerPoint users. When collaborating on documents they will generally share them via email, changing the file name with each revision, (e.g. salesdeck-0.1.ppt salesdeck-0.2.ppt until it is finished with salesdeck-1.0.ppt. But inevitably a 1.1 or 2.0 will rear it’s ugly head before it goes out). Some organisations use rather heavyweight intranets / document management systems such as Sharepoint; could this be over-engineering when a lightweight tool such as Subversion could do the job almost just as well. This thought was recently confirmed when we were demonstrating how we would be sharing files using Subversion to our stakeholders. I demonstrated creating and checking in a document, and then showed someone else working on it, all from the familiar starting point of Windows Explorer. One of the guys from the business who’d never seen this before was incredulous. “And we’ve just spent $$$$$ on installing SharePoint. Why did no-one suggest this? !” Good question. As was “oh, by the way, Tortoise Subversion is free”, but it didn’t seem appropriate to say that at the time! So, “Although there’s some dispute as to the average life span of a CIO, it’s generally held to be in the neighborhood of 21 to 24 months. [pdf]”. Think about that tenure. That’s just enough time for the new CIO to get through the first 100 days of viewing the landscape, seeing the mistakes of his predesessor, deciding on a new direction, getting a new bunch of vendors / integration partners in and seeing a major project be delivered. Delivered? Well probably not delivered to the full satisfaction of all stakeholders, but it is a “delivery” all the same. And it’ll be recorded as a success on his resume. 2. The (techie) written word, with a few intelligible sentences followed by blocks and blocks of code. I enjoy the former, but I’ll confess the latter is usually gibberish to me. So what joy it is to read a blog that describes code, that is eminently understandable. Behaviour Driven Design that Dan talks about not only makes sense, it is also understandable to someone like me who is not a code polyglot. My last blog was critical about the Business finding themselves talking the same language as IT… how refreshing it is to see code talking the language of the Business. Are you building a potato or a Sensation? The humble potato is not worth a lot. The farm gate price for a 150g spud is negligible. How do you add value? How do you turn a worthless Maris Piper into a valuable commodity? Potato crisps (chips) are a great example of a low value product being turned into high value one. But that’s the easy part. The real value add is further transforming the product without fundamentally changing it. Innovation through packaging and marketing, making a basic product appear more desirable. Appealing to higher sensations beyond just satisfaction; differentiating the same basic product into an up-scaled, up-market luxury item. The same item that customers will happily pay more for. 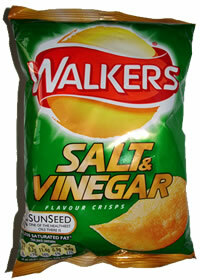 The retail price for a 50g bag of Walkers Salt and Vinegar crisps at my local One Stop is 35p. 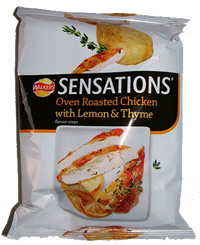 The price of the Sensations bag is 47p. 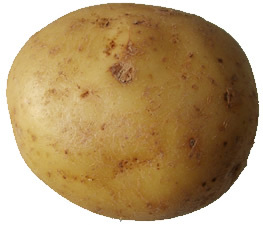 (For reference the retail price of a 50g potato – is 5p). Now I’m no crisp expert, but I’d guess that the incremental cost for adding a couple of new ingredients to the flavour is marginal. There’s some sunk cost in product development- creating the new flavours and developing the new brand, but this is little effort compared to the benefits that will be accrued. But that is not the end of the story. Focussing upon the experience of the Sensations product, Walkers see an opportunity to change the packaging – to increase the bag size. 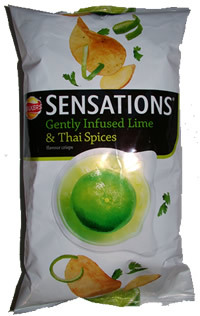 Now their basic Sensations product is a whopping 150g bag that retails at £1.35. Sometimes it is easy to focus upon just delivering the basic package, to just satisfy the customer. Is there anything you can do on your project to transform delivering the hygiene of customer satisfaction, to selling a compelling value-added experience? This is a good way to assess where you are going in life. It’s not so much what you’ve done, it’s more about what you’ve achieved. Great, so you’ve written a marketing plan, you are an expert in Java, .net and Ruby on Rails. But what have you actually achieved? What did that marketing plan result in delivering? Who did you delight with the applications you built in Java, .net or Ruby on Rails? What value have you personally contributed to the world? 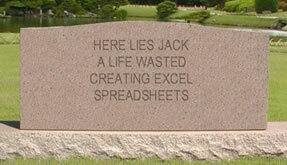 What would your epitaph be?